Where: Reykjavik, Hvammstangi, Western Fjords, Akureyri, Myvatn area, Seyðisfjörður, Djúpivogur, Skaftafell, Jokulsarlon, Geysir, Höfn, Vik, Þingvellir National Park, Blue Lagoon. Let me start by saying that ten days in this magnificent island country is too less to be able to fully experience it, but I have tried my best to squeeze in a lot of things and still be able to visit a lot of places while driving around the ring road. And yes, you’ve heard it right – Iceland is expensive compared to other European nations, but on par with the Scandinavian countries. But the country is clean, the air is oxygenated enough to breathe and the glacier water is the sweetest water you may have ever drank. Icelandic is the main language, but almost everyone speaks English, mainly because the sustained income of Iceland is tourism. Most locals also speak or understand Norwegian, Swedish or Danish as they bear resemblance to Icelandic. And as they say, speaking Icelandic words can be fun! Iceland is a part of the Schengen zone and European Union, which means I was required to get a visa prior to traveling to Iceland. Except for Washington DC, Iceland does not have a consulate in other part of U.S. so the Norwegian Consulate in San Francisco issued Schengen visa for western region of U.S. Costing US$72, it was a piece of cake to get the visa! Iceland’s currency is Krona. There is no subdivision of the Krona. The abbreviation ISK or ‘kr’ is used everywhere and the exchange rate was USD 1 = ISK 114 at the time of the trip. If you purchase any souvenirs or gifts, then make sure to get the tax return form filled out by the store. You can go to the airport and get the tax money back! Refunds over 5000 ISK requires Customs declaration and approval (on arrivals area), else just walk up to the departures area and get the refunds done. The Landsbankin (bank) counter is right next to the tax refunds counter, where you can exchange the currency. When you arrive at Reykjavik, you will be on the first level, where the exchange counter caters to departing customer only. For arriving passengers, the exchange counter is after you clear immigration & customs and walk out of the exit. Just before exiting the airport, you will seee the counter to your left. The currency exchange counter at the ground level (arrivals lounge) cater to arriving passengers. Clear security and walk up to the first level to exchange currency for departing customers. Yes, that’s weird, but that’s how it is! The banknotes come in 500, 1000, 2000, 5000, & 10000 kroners whereas the coins are 1, 5, 10, 50 and 100 kroner. On time! 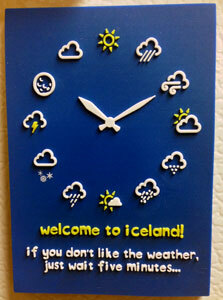 – Iceland-ers are known for their punctuality and they ensure to keep it that way. So if you’re late for bus timings or stores or anywhere, you will miss that opportunity even if you’re a minute late. Post Offices – All the post offices around the country, and wherever available have no set times to open and close. Most of them in small towns are a part of one of the main grocery stores. The red “Posturinn” sign will be visible where postal services are available. Opening times can be anything between 9am to 12pm and closing times between 3pm to 6pm. The only place where the post office closes at 6pm is Reykjavik. Also, check for summer and winter timings before you head there. Even the hotel staff may not know the exact timings. The staff speak English and accept all credit cards. Buses – Some towns have city or government run buses that serve nearby towns or cities. 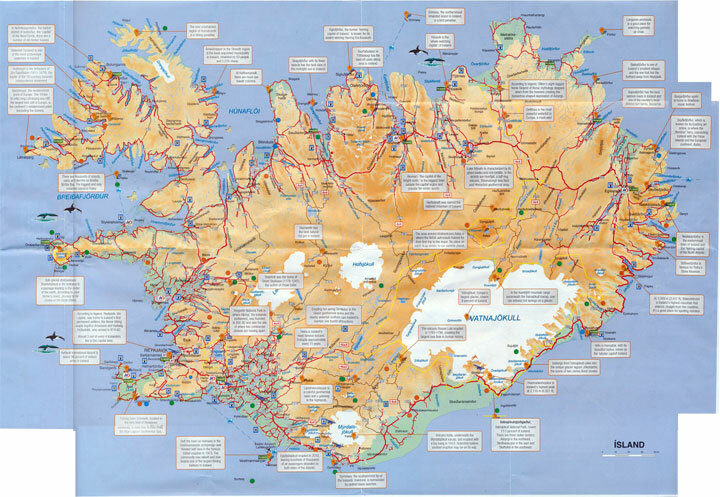 Other than that, private companies like Reykjavik Excursions ride along the Ring Road (highway 1) and cover most tourist sights like Reykjavik to Blue Lagoon, etc. Check bus timings and book in advance. Rental Cars – By hands down, the best way to explore Iceland is to rent a car, especially during the summer months when the sun is almost up for 24 hours, allowing you to explore more of the natural beauty this country has to offer. Most big rental car companies have office in Reykjavik and airport. But cheap ones like SADCars have pickup services available from the airport as their office is located a few kilometers away from Keflavik Airport (KEF). There are more guesthouses and hostels than hotels in Iceland. If you plan to drive around the country then make sure to book well in advance (by well, we mean at least 6 months) as they get booked fast during the summer months of July, August & September. All the guesthouses prefer cash as payment and some may also offer a discount for that. For really late arrivals, make sure to call the hotel during the day informing them about your arrival time. Since the guesthouses and hotels are maintained by locals who, perhaps, own the place as a second-home-converted-to-guesthouses, they live nearby and will come over after you’ve arrived. Breakfast is not included in the price, and some charge extra for linens and/or wifi. Yes, they are expensive even compared to European standards! Tap water is safe to drink in Iceland, EXCEPT for Reykjavik, where the tap water stinks of sulfur. One litre bottle of water from a local market will cost ISK 400 to ISK 600. Wi-fi – This is available in all hotels, restaurants, and businesses, although not unsecured. Mobile services – For ISK 2200, you can purchase a SIM card from Siminn and use it for calls and 3G/LTE data of 2GB. The validity is 6 months and you can recharge at most groceries stores around the country. If you plan to use the SIM card only for data then call 1441 from the phone (Icelandic number that is activated) and ask the CSR to convert your account into a data-only account. That way for ISK 2200, you get 5GB of data! Iceland drives on the same side as U.S., Canada and mainland Europe. The maximum speed limit on main roads is 90 kmph (55 mph), except for inner or smaller roads where it slows down to 70 kmph (45 mph) and while you’re approaching a city, it slows down even more to 50 kmph (30 mph). If you haven’t this elsewhere, then here it is – make sure to follow the speed limits because cops in Iceland are rigorous in tracking speeds and you can face a very heavy fine – almost up to $600. Speed up to 10 kmph (6 mph) higher than the speed limit are tolerable when the limit is 90 kmph. But gradually decreases to speed limit for limits of 50 kmph. So once again – drive at speed limits! in case if you’re one of the unfortunate ones to be stopped by the cops, you will be required to step out of your car, get in to the police car where they will record your conversation on camera and issue a ticket. You don’t need to be scared because they are some of the friendliest cops int he world. You can make a payment (gulp!) with your credit card or cash! Iceland roads are narrow and only one lane on each side. While most of the main roads are paved, smaller roads and parts of the main highway are graveled (where speed limit will go down to 80 kmph or 50 mph). Then there are bridges over rivers that are one lane only so make sure to look-out for traffic from the opposite direction. Delta Airlines $1,230 Flight from Los Angeles, USA (LAX) to Reykjavik, Iceland (KEF) via New York Kennedy (JFK). Return. SIM Card $24.57 ISK 2800 including voice calls, 2GB of 3G and ISK 600 as service charges. Through Siminn. Capital city & Puffin express.